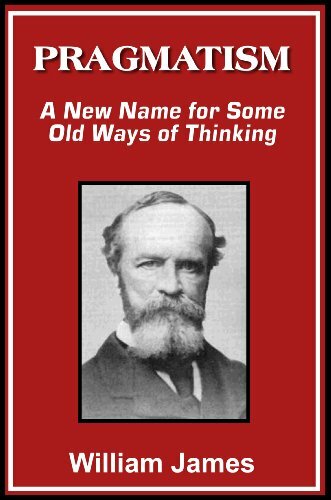 William James published Pragmatism: A New Name for Old Ways of Thinking in 1907 which was about his lifetime of him questioning the foundations of human beliefs on society. He also explained that as long as people accept the value of each other’s truths, these truths assume the character of legal tender. They are passed from person to person without thought or comment like dollar bills. James said that the solution to the question of truth was that truth is something that results from an ongoing audit in the public mind. In other words, to get to the truth, it takes constant questioning. The period between the end of the Civil War and the first decade of the twentieth century was for much of the United States a period of confusion and hectic times. America was now becoming a society driven by big businesses. Consolidation of industries was becoming more and more prevalent. The localized middle classes or the small business owners were being overshadowed by the larger conglomerates. They responded by searching to restore social and economic stability and restore the middle class. Some of the issues they focused on in their mission to save the middle class were “the spread of human misery” and the threat of monopolies. Bellamy was a journalist who wrote for the Springfield Union in Massachusetts and author of the Novel Looking Backward. The novel that provided insight on a potential birth of a new society without the problems that society was experiencing during the time. This society could only begin through the voice of the people. In other words, a utopia. Henry George of the San Francisco Evening Post in 1879 published a article titled Progress and Poverty the same year that John D. Rockefeller consolidated the Standard Oil Trust which held 90% of the American petroleum industry. George believed that by voicing the agonies of industrial life and voicing his idea of a mandate of a “single tax” land that “the hopes embedded in the industrial revolution might finally be realized”. In 1881 Henry Demarest Lloyd published an article in the Atlantic Monthly titled “The Story of a Great Monopoly”. This was a detailed article about the damages that the Standard Oil Trust was causing. This was motivated by a belief in the power of the public voice. In a corrupt world “Publicity is the great moral disinfectant”. Between the 1880’s and the First World War, began a dramatic growth of mass-circulation media beginning with news papers. Newspapers were becoming a part of the giant enterprise. This caused the growth of distribution of individual newspapers and the beginning of large newspaper chains led by E. W. Scripps. Because of this, many people were exposed to the daily newspaper. 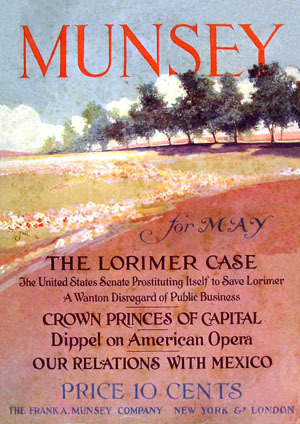 Starting with Mclure’s and Munsey’s Magazine and Cosmopolitan a new generation of magazines emerged. Between 1900 and 1912 some magazine circulations reached upwards of 1 million. These magazines provided a large-reaching platform for the distribution of “progressive publicity”. During this time, in the mass magazines and newspapers, a more modern media genre was appearing: sensational exposes. These exposes were tales of corporate greed, public corruption, and moral decay. 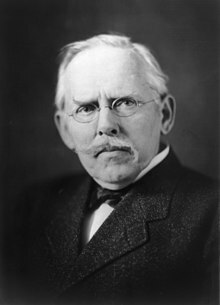 A prominent 1890’s reporter Jacob Riis was one of the first people to contribute to journalism. He reported on ghetto street gangs in New York City. At the end of the first decade, progressive publicity was very successful although it could be interpreted in two ways. On the one hand, the massive growth of “reform-minded journalism and its readership” brought to light massive power in the mass media which could be considered a tool for public assembly. On the other side, Progressive publicity revealed that the public was no longer witnesses to society, but were now witnesses to society through the mass media, meaning that they were now more easily swayed by the mass media more than ever.